Specialized Desanders renews ABSA Certificate of Authorization Permit to 2020! - Specialized Desanders Inc. Specialized Desanders renews ABSA Certificate of Authorization Permit to 2020! 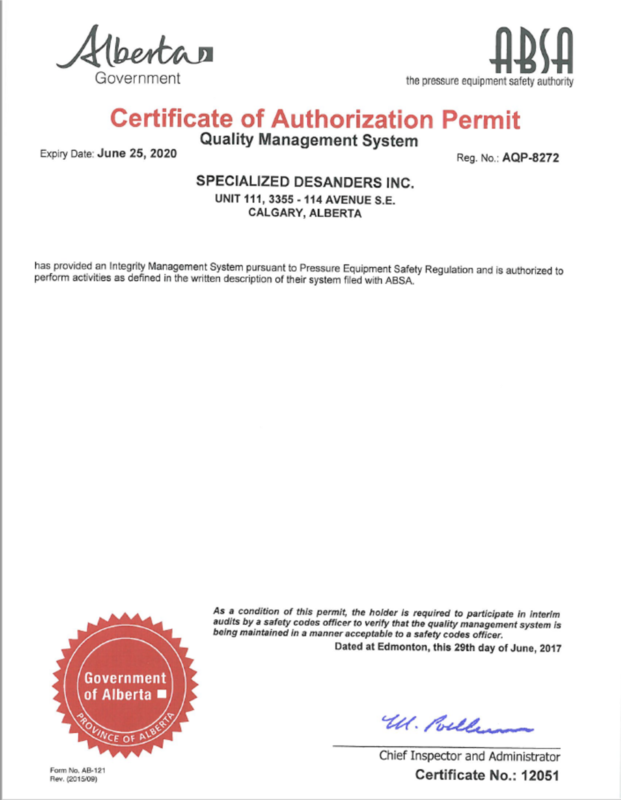 Specialized Desanders has provided an Integrity Management System pursuant to Pressure Equipment Safety Regulation and is authorized to perform activities as defined in the written description of their system filed with ABSA. Expiry Date: June 25, 2020!